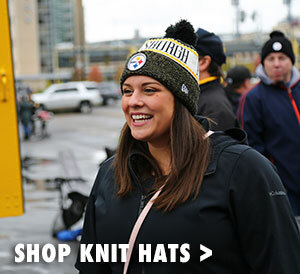 Help your young Steelers fan show his team pride when the temperatures drop with the Pittsburgh Steelers Youth Helix Jacquard Knit Cap. 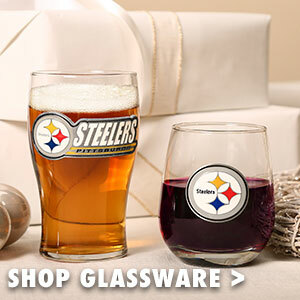 This cap features a stitched Pittsburgh Steelers logo on the front as well as the team name around the cuff. 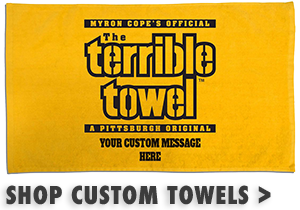 The gold pom on top will add a little extra touch of Steelers spirit to his game day look. 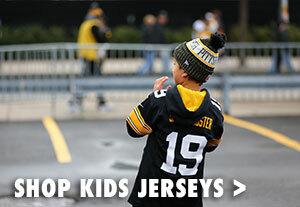 Your little Steelers fan will stay warm and toasty while taking on Heinz Field to watch the Steelers in this knit cap.